Ookla’s Speedtest.net app version 1.0.41.0 is now available on Windows 10 PC. The app is free and easy to use. 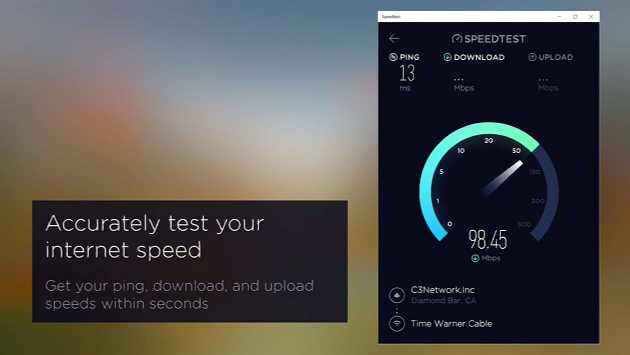 The app tests your internet Ping, Download, and Upload rates. You can also check the history of your tests and share your results. Speedtest.net app is also available on Windows Phone 8.1. No word on when Ookla will release its app for Windows 10 Mobile.